The new responsive website launch - Zowietek Electronics, Ltd. 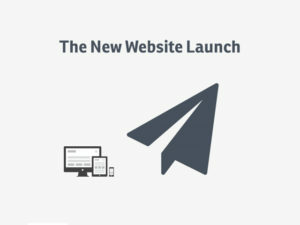 Welcome to the launch of the new responsive website. We are excited to share with you with our newly redesigned website, with a bold new look, an optimum viewing experience, mobile friendly and enhanced responsive design. We are constantly seeking ways to improve the online experiences. We’ve consolidated product information so you can find product information, photo, specification, order information and download, faster and easier to navigate. We will make the online information more accurate over coming month, and hope that you enjoy visiting our new website. We have tried to make all previous links active and point to the equivalent or relevant information. However, due to the significant changes in the website architecture, we know there may be digital hiccups and you may experience virtual road block along the way. This is where we need you help! Please email us at marketing@zowietek.com if you see a broken link or feel that something should be reviewed or enhanced. We will do our best to perfect your browsing experience. We hope the site tells you everything you need to know about Zowietek and help our clients get to know us and our products better. We promise to continually expand our online contents and keep you updated with the latest information. So check back often and connect with us on our social network. Zowietek Electronics, Ltd established in the year of 2004, has many years of excellent experiences in the design, development and manufacture of high-quality Medical Video Recorder, HD SDI Bullet Camera, HD Bullet DVR, HD Micro DVR, HD Video Encoder, LANC, Micro MPEG2 DVR, TV Tuner Card, MPEG-1/2/4 encoder, VBI/Teletext, VideoScope and on-going development efforts. We have strong hardware, firmware, software, and R&D experiences to be the market leader in developing, manufacturing, and integration, digital video technology for professional video applications for many years. Zowietek is focusing on OEM/ODM customers worldwide. We keep presenting the latest medical, industrial and consumer video technology and full range solutions to our customers. For more information, please visit the company’s web site at www.zowietek.com.